Recently after doing a Code Retreat with Cory Haines I found myself really wanting to work on my Ruby fu. I was inspired by the idea of practicing my trade everyday in some simple exercises that allow me to focus on parts of the language to really learn it well. So I decided to pick up the Ruby Koans which I was introduced to a year or so ago but never thought I needed that. I always figured I could just keep learning by using Ruby for my projects, but then I realized that I was just using the same few parts of the language to build my apps. Following the craftsman analogy, I was using the same saw and hammer because they are comfortable. I didn’t take the time to learn about the pneumatic framing nailer because I already had a way to pound in nails, but boy does it make building things easier. So if you are new to Ruby or have been using it for awhile I really recommend you find some exercises to keep your skills sharp and explore new parts of the language. I really think the Ruby Koans are perfect for this, I see them being easy to get started and with enough substance that even seasoned developers will pick up new things. Today marks a new accomplishment in my career. I am a published, professional author. Today we released the beta of Web Development Recipes a book for anyone interested in expanding their knowledge of Web Development. I worked on this book with several very intelligent and amazing co-authors: Brian Hogan, Chris Warren and Aaron Godin. 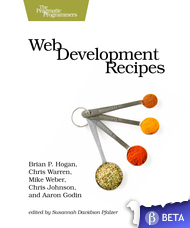 So head over to http://pragprog.com/book/wbdev/web-development-recipes and pick up a copy, or two, or three! This morning I decided to try out a new pairing setup. 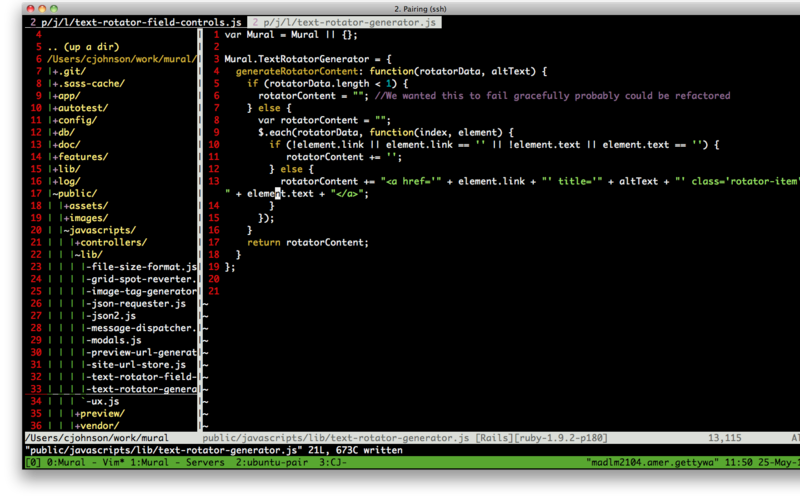 What I did was setup a machine that can be accessed by both developers and installed tmux. 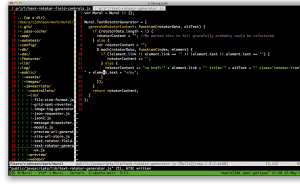 Tmux works like screen where it creates sessions that you can attach multiple users to. It also allows you have a few open buffers so you can do things like have one buffer open for Vim and another to run your Rails Server. So we have taken advantage of the ability to attach multiple users to a session and then had each developer attach via ssh from their local machine. We haven’t configured tmux beyond the basic install but it seems to be working good. One nice thing is each developer can SSH back into their local box from a separate buffer and have access to files on their local machine if need be.